This update to the popular iPhone 6 adds 3D Touch Control which lets users deliberately choose between a light tap, a press, and a "deeper" press, triggering a range of specific controls. Other notable additions include the Apple A9 chipset, and a 12MP rear camera with 4K resolution video recording. This Amazon Certified Refurbished device has been refurbished at our approved repair center and comes with a 90-day return period. The phone may have minor cosmetic wear such as some light scratches on the screen and minor imperfections on sides and/or back. 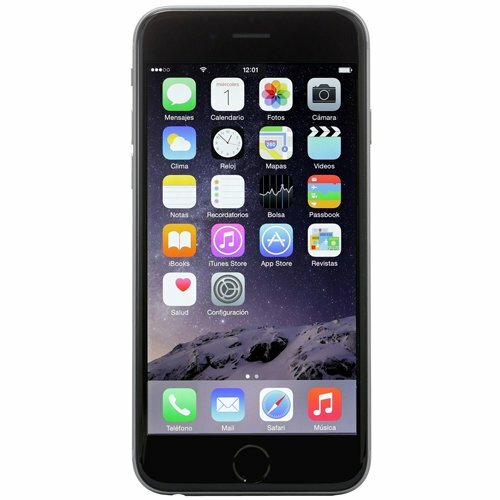 This device is factory unlocked for use with other carriers (CDMA or GSM). Please check with your carrier to confirm compatibility. Includes A/C Adapter & Data Cable. Does not include headphones, SIM card, user manual, original box. Manufacturer's warranty is not verified or implied.